There are a lot sneaky foods that may be leading you to consume more calories than you think. Eliminate these and you'll be setting yourself up to lose more weight and burn fat! I've started tracking my calories and this website suggested I take in around 1,200 calories per day. The only problem is that I haven't lost a single pound of fat! Do I need to eat FEWER calories?" It represents a common frustration I hear from people who tell me they are consuming a mere 1200, 1000, or even 800 calories and still not losing weight. Who wouldn't get discouraged eating so few calories and not having a lick of fat loss results to show for it? If you did the math, you'd find that a measly 1200 calories is nowhere close to enough for most individuals to maintain their weight, especially after you calculate in daily activity and exercise. So, how could someone supposedly be eating so few calories (less than ~1200 a day) and not be losing weight? More often than not, it's because they are actually taking in more calories than they realize. Knowing that, let's take another look at the individual from the email message above – let's call her Amy – who says she is only consuming ~1,200 calories a day and “can't lose a single pound of fat!" Based on what we know from the inaccuracy of caloric intake reporting and estimating, Amy may be taking in closer to ~1,800 calories per day (or even more). Now, let's pretend Amy is 5'4, weighs 155 pounds, lifts weights in the gym 3x a week, and is sedentary during the week due to her office job. If we were to calculate Amy's calorie needs for weight loss, we'd come up with around ~1,400 calories per day to lose .75-1.5 pounds a week. Most of the research on caloric under-reporting involves people who aren't tracking their calorie intake. In that scenario, their errors make sense considering they probably don't really know the caloric content of the foods they are eating. It's not difficult to miss or underestimate calories from sneaky food sources, and even if the amounts of calories we miss are minor, they can add up to a significant amount of added intake over the course of a day. I don't want anyone to struggle with losing weight because of unknowingly consuming too many calories, and so I compiled a list of the most common sneaky calorie sources that often lead people to consume more than expected. Eliminating these sneaky sources of calories from your diet, or at least getting them under control, will increase your accuracy with tracking and decrease the number of calories you're blindly taking in—leading to faster weight loss reuslts! A world where diverse flavors like Mexican Fajita, Carolina BBQ or Asian Zing didn't exist and all you had to eat were plain ole' chicken breast 24/7! The only downside of some of these flavors is that they can come at a caloric price. It's not uncommon for a serving of sauce (typically 28g or 2 TBSP) to be upwards of 70-200 calories! ...and that's just ONE serving! More often than not, people are having 2, 3, 4, or 5+ servings of higher-calorie sauces and dressings with their meal - unknowingly consuming hundreds of sneaky calories. When I start coaching a new client, the first thing I do is ask about their current diet. One of the questions I ask is in regards to the types of sauces they use, and how much they use them. If they are using a lot of high-calorie sauces & dressings like those listed above, I normally recommend swapping them out for lower calorie sauce options such as hot sauce, sriracha, and mustard. If you've been consuming a lot of high-calorie sauces & dressings without tracking them, then you may be underestimating your daily calories by 200-300 (or more, depending on how much of a sauce-head you are). From now on, make sure that you're controlling your portions and accounting for the calories being consumed. If you want larger quantities of sauce, opt for low-calorie options like hot sauces and mustards which usually only have around ~5-10 calories per serving. Note: Just because low-calorie sauces have ~5-10 calories doesn't mean you can have unlimited amounts. If you start using more than a few servings multiple times a day, the calories can start to add up quickly. 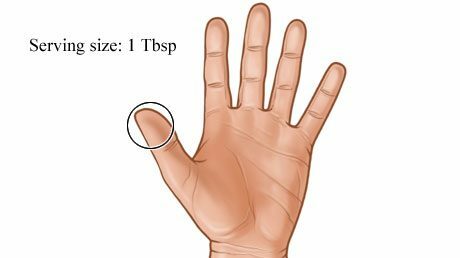 Roughly the size of the top half of your thumb. Not much at all, huh? If you aren't measuring your oil with precision, you could easily be adding 100-200 extra calories on accident. "But Carter, won't using a calorie-free oil spray fix this problem?" I can't even think in a third of a second, let alone spray oil into a skillet. Most folks are spraying the bottom of their skillet guilt-free for 5-6 seconds, and what they think is zero calories is actually ~35+ calories. That might not seem like much, but do that a few times a day while cooking and it can start to eat away at your calorie deficit. Using oil to cook is totally fine, but be sure that you measure out proper portions or the calories can add up quickly. (I typically use around 1/2 a TBSP when cooking, and it works out great). Also, don't fall into the trap of thinking that cooking sprays are magical calorie-free unicorns farts. If you use cooking sprays multiple times a day – spraying for longer than a few seconds – you could be adding 100-150 calories to your daily total without even realizing it. I'm all for estimating and guessing portion sizes while maintaining a healthy body weight. But if you're trying to lose fat, and lose fat consistently, then you should be limiting how often you do it. Just like we aren't very good at estimating our daily calorie intake, most of us are terrible at estimating proper portion sizes too. This is why I'm a big on using a food scale to measure food. In my opinion, a food scale is one of the best investments you can make for your health and long-term success with fitness. Not only will it reduce the chance of overeating and increase your fat loss results, but it will also teach you proper portions so that you can still enjoy "non-diet" foods and maintain a lean physique. You'll be able to eat foods like cake and ice cream because you know how to fit them into your diet with moderation and in appropriate portion sizes. Plus, it's great to have a scale for when you are preparing a recipe or want to reach a certain weight by a specific date (wedding, reunion, etc.). Sometimes it's unavoidable (like when you're going out to eat), but if your goal is quick and consistent fat loss results, you should be limited how often you're eating out in the first place. Using a food scale will not only will it speed up your physical results, but it will also teach you about proper portions and serving sizes. A clear understanding of proper portions and serving sizes is a key aspects of being able to maintain a lean and healthy physique for life! You know, the few bites of food left on your kid's dinner plate? Those cookie samples being handed out at the grocery store? That extra handful of M&M's from the candy bowl before rushing out the door? They seem harmless, but those calories count too. It's easy to get into the habit of "having a little bit here" or "just a few bites there," but if you make this a daily reoccurring event, the added calories can quickly halt your fat loss progress. Only eat what you have planned to eat, or what you've measured out. Finger snacking is often a mindless activity, so you may need to think back on your day to see if you're someone that does this. I was the king of finger snacking. I'd make a peanut butter sandwich, lick the spoon, and then scoop out another spoonful before putting the jar away. Be mindful of when you reach for snacks or polish of your kid's leftovers. Ask yourself : "Am I hungry, or am I just bored? Sneaky Source #5 - ...Vegetables? A lot of popular diet plans consider vegetables to be "Free Calories," meaning you can eat as many as you want and not worry about tracking them. It serves as a "micronutrient- incentivizer," and encourages people to eat more veggies and a greater intake of micronutrients (vitamins and minerals) which is vital for optimal health. Veggies have a ton of water and fiber for a few total calories. The idea is that consuming more high-fiber veggies will help you consume fewer calories throughout the day without the added hunger. We LOVE the term "unlimited quantity," especially when we're dieting and hangry. Non-starchy & low-calorie veggies (like celery & leafy greens) contain very few calories, and you could munch on them all day long and struggle to consume enough calories to gain weight. Now, notice #3 where I said non-starchy & low-calorie veggies. The "Free Calories" rule ONLY applies to these types of veggies. Starchy veggies – such as potatoes, sweet potatoes, corn, soybeans, lima beans, and peas – while healthy, still contain calories. If you're adding a ton of starchy vegetables on top of your regular diet, thinking that unlimited amounts are "free calories," you can easily take in too many calories. Starchy vegetables are still a great option, though. They contain way fewer calories and more micronutrients than refined grains and other processed junk foods. But the reality is that they still contain calories, and you should still be paying attention to how much of them you're eating. If you're experiencing a lot of hunger while dieting, try including more of these non-starchy veggies to help fill you up for close to zero calories. Some healthy foods (such as nuts, avocado, farm eggs, quinoa, nut butter, mangos, bananas, rice, and granola) actually contain quite a few calories per serving. 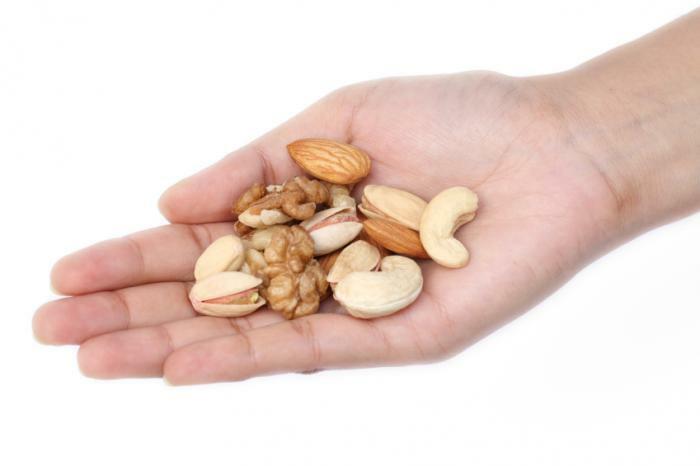 Of the foods mentioned, the high-calorie content per small serving size of nuts seems to be the biggest surprise to people. Now, just because some healthy foods contain a lot of calories doesn't mean you should eliminate them. They are still better options than highly processed cookies and ice cream most of the time. Just like all of these sneaky calorie sources, they can be harmless when portion sizes are controlled and they're consumed in moderation. Just because a food is healthy doesn't mean it's low in total calories. You should still be tracking your food, or at the very least be moderating your portion sizes with all of the foods you're eating. This is another component of a client's diet that I ask about. If you are accustomed to sucking down high-calorie beverages – OJ in the morning, a regular soda at lunch, and sweet tea for dinner – I wouldn't be surprised if you were taking in an additional 500-900 calories to your daily calorie count from liquids alone. The worst part is that liquids do little to nothing for your hunger. You see, most liquids don't have the same filling effects as solid food, making it easy to unknowingly over consume calories. Replace calorie-heavy beverages such as juice, regular soda, and sugar-sweetened tea and coffee with calorie-free alternatives like water, diet soda, and black coffee. If you are someone who's used to having 3-4 caloric beverages a day, this swap could potentially reduce your total calorie intake by 500-900 calories a day! That will, without a doubt, lead to greater weight loss results. This one is more for people who are actively tracking their calories and macros to lose weight. Journaling and food logging is one of the best ways to quickly and consistently lose weight, but if you're tracking the wrong information, your progress can suffer, and you'll get less than optimal results. One of the most common ways this happens is from weighing COOKED foods and using RAW nutrition values by mistake. 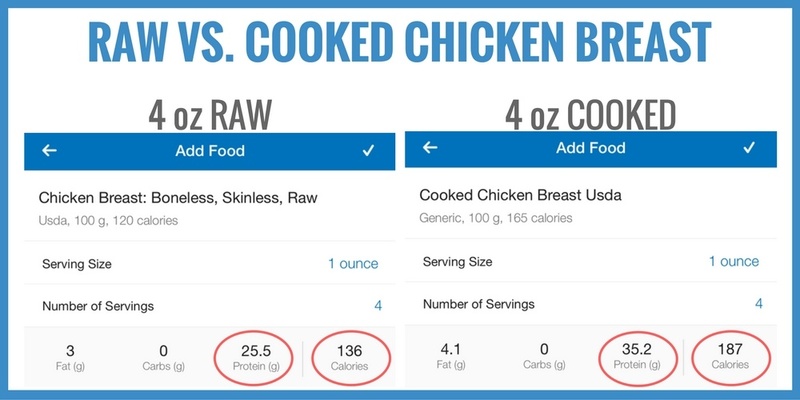 For example, the difference between 4 oz of cooked chicken and 4 oz of raw chicken is close to 50 calories. Make that tracking mistake a few times a day, and you'd be consuming an extra 200-300 calories. Make sure the nutrition information you use to log your food intake matches the state you are measuring. Whether you weigh and measure your food raw or cooked is up to you. Both methods can work. What matters is that the nutritional information you are using to track your food reflects the state you measured it in. As you can see, there are a lot of ways you could be taking in sneaky calories without even knowing about it. When I hear about people taking in very few calories (less than ~1200) and struggling to lose a noticeable amount of fat, the issue is usually from unknowingly consuming sneaky calories from some of the sources above. If you find yourself in a situation similar to above, the first thing to do is double check everything you are eating to ensure you are not consuming calories that are unaccounted for. 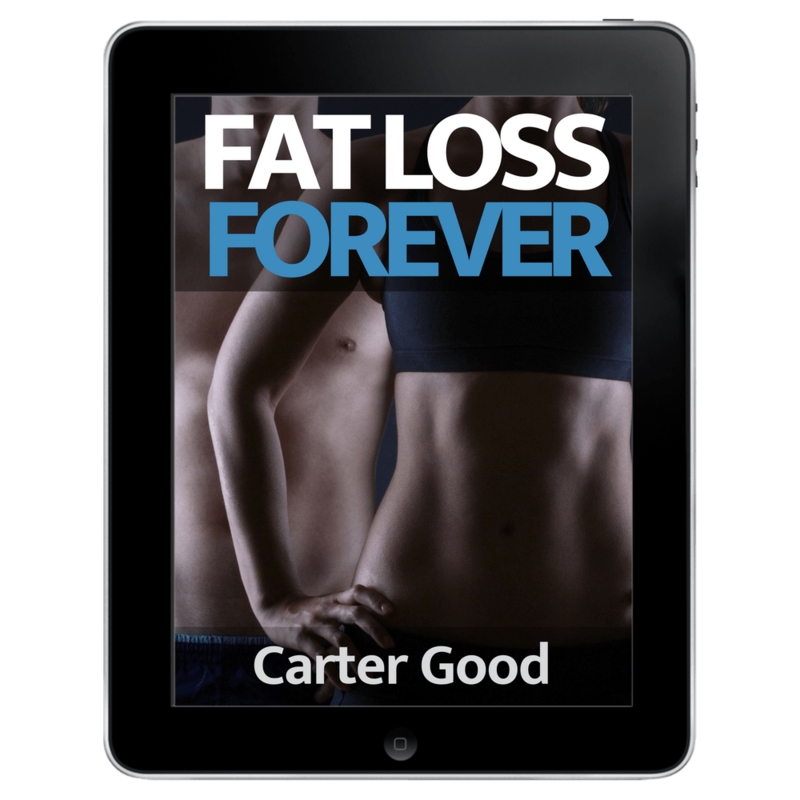 Do You Want To Learn How to Lose Fat Forever? Inaccuracy with diet is a big problem people struggle with in their pursuit of losing weight and achieve the body of their dreams. Despite their hard work and efforts, they experience drawn-out weight plateaus or fail to sustain their progress after dieting. That's why I created my ecourse, Fat Loss Forever. This course is designed to not only helped you lose weight in the short-term, but outline the habits and strategies needed to maintain your success forever. If you want to end the vicious cycle of gaining and losing weight on the Yo-Yo Diet Cycle Roller Coaster, then sign up for my free ecourse below. Let me help you finally lose fat, and keep it off for good.